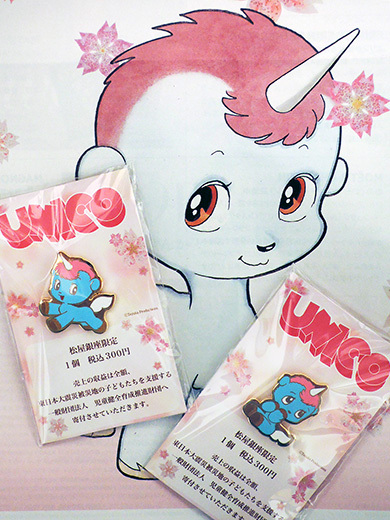 Unico is one of the cutest unicorn manga charactor, written by Osamu Tezuka. His heartwarming, pure kindness and cheerful but really pain and sad stories were born in 1976, almost 40 years ago. 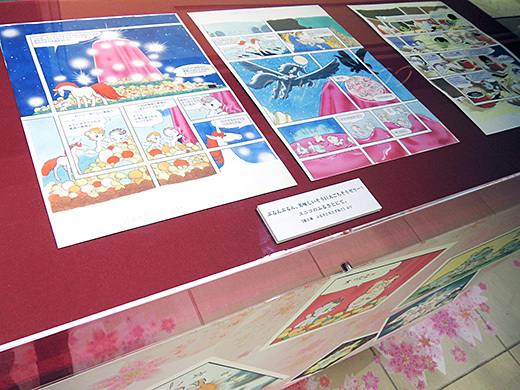 The manga is still beloved because of its lovely art and stories. 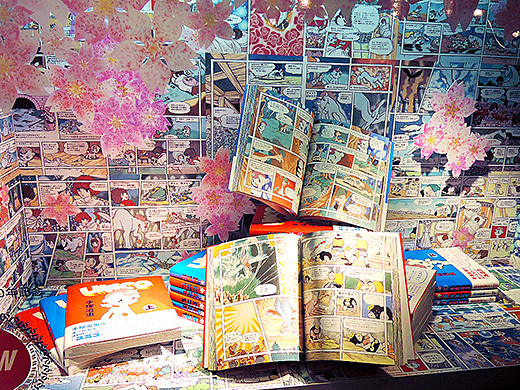 In this March, the comic books were beautifully re-published by latest technology of data scanning. 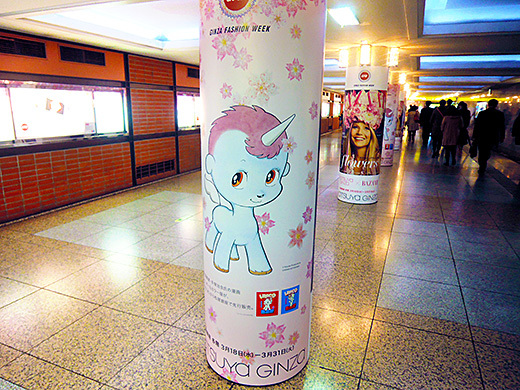 And now, Unico is working for Ginza Matsuya as the main character of GINZA FASHION WEEK. 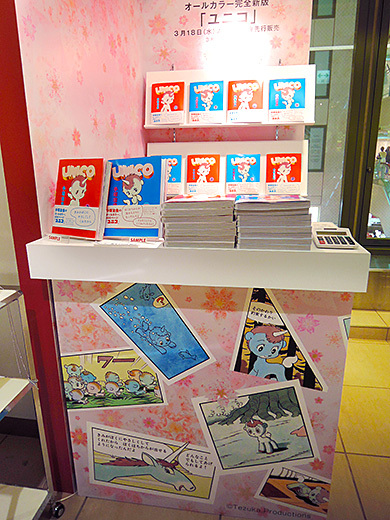 You can buy “Unico x Pierre Herme” macaron box, the comic books, and adorable Unico brooches – when you buy a brooch from 300yen for minimum amount (you can pay more if you want! ), you will raise fund for “Foundation for Promoting Sound Growth of Children”. 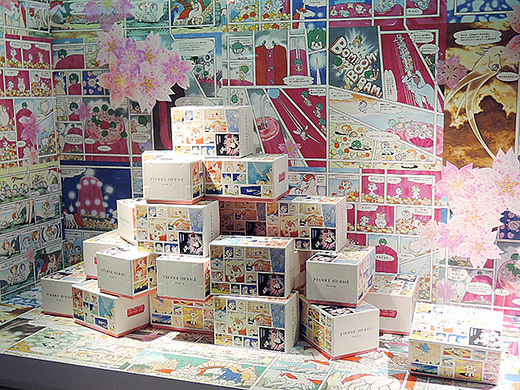 His cute smiles are blooming like sakura flowers everywhere in Ginza Matsuya.